Do you need Boiler Repairs in Loughborough? Now we’re experiencing the harshness of the cold winter months, having a fully functioning boiler is more important than ever. The best way to be sure your boiler is working effectively is having a thorough service performed by a Gas Safe registered plumber in Loughborough. This acts as a prevention method – if something is about to go wrong, catching it first can mean you boiler can be repaired rather than replaced! How Do I Know if My Boiler is Failing? It is unfortunate that complete boiler failure is a common problem. The causes of boiler repair can vary widely; from a crack in one of the boilers cast iron (or aluminum) sections to a broken seal on the boiler pump. Power supply – Check if the power supply is on, if not then call your electricity supplier to find out the problem. Gas supply – If the gas stopcock is on but no gas is coming through, it means you have a gas supply problem. It is best to call your gas supplier at first instance. Pilot Light – If you have a problem with the pilot light igniting then you may be able to relight it by following manufacturer’s instructions. However if you find there is no gas coming through the stopcock then here at HKS our professional boiler repair team can help. Central heating thermostat and boiler levels – You will find the boiler will only work when the thermostat is set above the room temperature. You will need to check that the central heating programmer is in the ‘on’ position in order for you to change the levels. Condensate pipe - During the winter your pipe may freeze and causes blockage which then causes the boiler to breakdown. You may see a ‘fault code’ on display or a warning light. The boiler could also make gurgling or bubbling sounds. Central heating timer – Check that the timer on your central heating controls works and is set correctly. If it won’t switch on you may have flat batteries or a problem with the power source. Central heating pressure – If your central heating pressure isn’t correct according to your manufacturer’s instructions, you will need to contact one of our gas safe registered professionals at HKS. 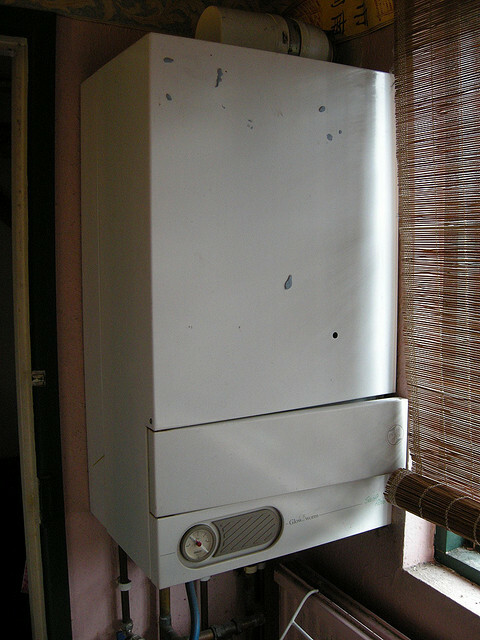 Do you need Boiler Repairs in Loughborough? Get your boiler fixed today if you’re experiencing any of the problems above! HKS can help you. We are happy to carry out any boiler repair jobs in Loughborough, however big or small. For more information or for a quote for plumbing, heating and boiler services Loughborough, call HKS Plumbing and Heating today on 01509 558 713 or use our online contact form.